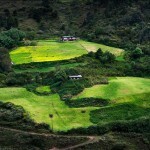 Bhutan has become the first country in the world, that passed the legislation on organic agriculture. Also, 60% of country’s territory is under the national parks, and the foundation of life in the country is a “tradition.” Bhutan with the ecological dictatorship is quite possible the future of the Earth. 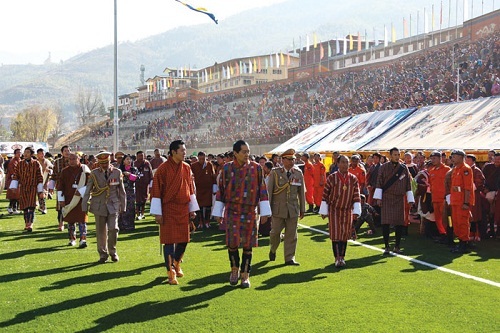 Bhutan has become the first country, where the official metrics of society declared a “Gross National Happiness” (GNH). Gross domestic product (GDP) which inspires Western intellectuals and their supervisors. By the way, the GDP of Bhutan is about 2.5 thousand dollars per person per year, and on this indicator the country is one of the poorest in the world. But, according to the infamous GNH – Bhutan placed itself on the 8th place in the world, ahead of all the Western countries. You hear and see about life in Bhutan not often. Television in the country was allowed only in 1999, and today only official and religious programs broadcast. 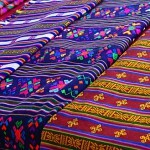 In public institutions not only employees, but also visitors are required to come in traditional clothes (during the holidays the whole population should wear national costumes). 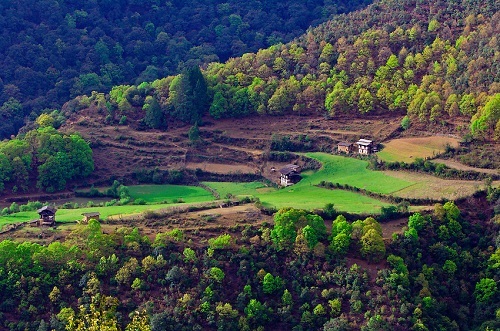 One of the main parameters in the GNH is the environment and “harmony with the environment.” And with these options Bhutan’s fine. 80% of the population here are peasants, and the factories in Bhutan are banned. 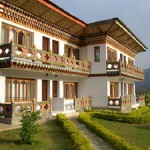 The basis of the economy of GNH – electricity, it gives 60% of export revenues. Industrial deforestation is prohibited (only sick and old trees). 60% of the country – parks, and they banned all economic activity. 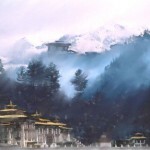 For such a love for the wild western foundations give Bhutan tens of millions of dollars annually. King plans to make 80% of the country untouched area. Roads and transport also declared an industrial evil. The country has only 25 thousand cars, and they are mainly used by officials and nobility. People on horses and donkeys, on the contrary, are encouraged. Smoking is banned across the country, for the violation – 3 months in prison. Drinking alcohol only on holidays (15-20 days a year). Even hair style is controlled, long hair for men is banned. Visits of foreigners into the country are limited: 10-12 thousand visas per year, ordinary tourists have to pay $ 250 for 1 day in Bhutan. In the country officially allowed only two religions: Buddhism (75% of the population) and Hinduism, other religions’ followers can get 10-year prison. 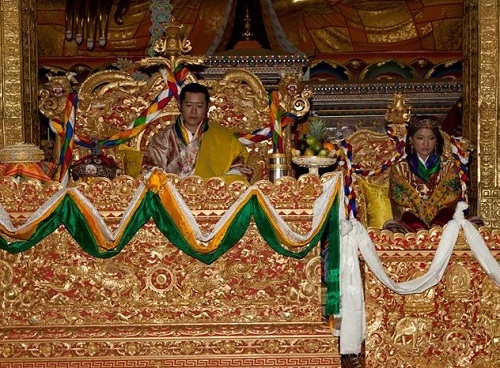 In Bhutan established two-party system, one party represents the Western Bhutanese and the second – the east. All of the “extremes” in politics, in the form of communism, liberalism, nationalism, etc. – prohibited. Periodically, the secret police of the King (often retired English secret service agents) catch opposition and arrest them. 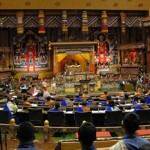 The court in Bhutan consists of only 2 judges. What other options of “Gross National Happiness” introduced in Bhutan? – Education-based boarding schools across the country. This is like the Soviet Union organized training of northern peoples, when the children were taken from their families and brought to a special school in the remote. – Compulsory teaching of English, the use of volunteer teachers from the West. Most teachers – Western youth, riding at the same time and for the “enlightenment” in the ashrams. Since they do not take those same $ 250 a day for being in the country, they teach local children for free. –Key posts in the departments “for modernization”, the environment, medicine and management given to foreigners. Foreigners serve local economy – hydroelectric. The local population must either protect the forest, or work in the fields. – Public funding of religious activities. – Maintaining the cleanliness of the streets of towns and villages. Compulsory cultivation of flowers in front of the house. 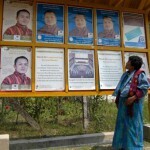 – Construction of a minimum number of roads, and the only connection with the largest Dzong (Buddhist) monastery, to prevent damage to the environment. – The old men, after 70 years old, are given shelters in the monasteries (not to “burden the family budget” of their children, no pensions in Bhutan). – Complete elimination of unemployment. There are now only 6 thousand registered unemployed (1.5% of the workforce). 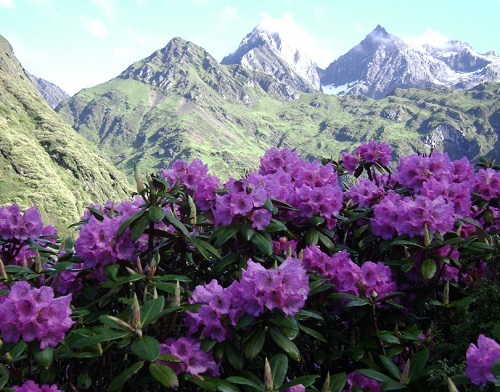 Unemployed are sent to public works – mostly plant trees in the mountains, as well as protect them.